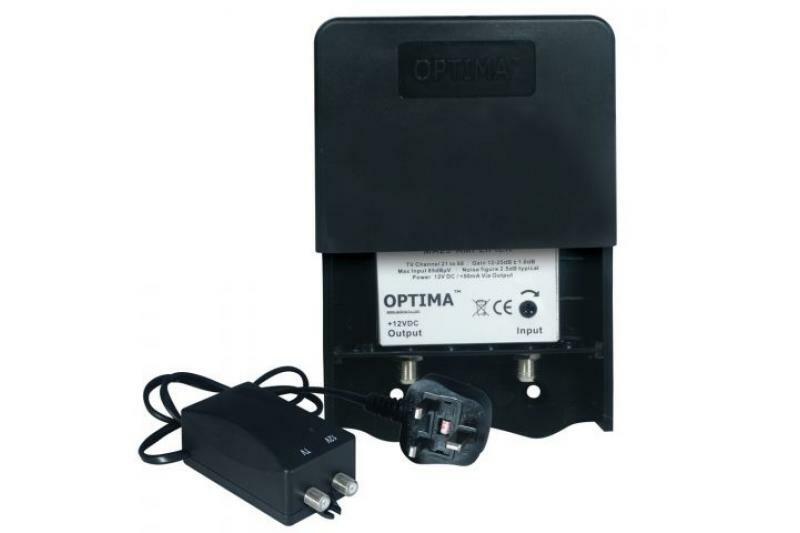 OPTIMA 12-25dB Variable Gain LTE Masthead amplifier kit. Single input/output with PSU included. This OPTIMA™ masthead amplifier is a high quality yet cost effective fully screened amplifier for digital TV in low signal or long cable run situations. The OPT25LTEKIT has been robustly designed for contract installation in a high quality mast or bulkhead weatherproof ABS housing with positive slide down cover.